A Cambridge University academic has appeared in court charged with possessing and distributing indecent images of children. Professor Simon Jarvis, 53, a poetry specialist at the university's English faculty, did not enter a plea to 12 allegations. Mr Jarvis, from Romsey Terrace, Cambridge, appeared at Cambridge Magistrates' Court on Friday. He had been arrested by National Crime Agency officers in September last year. Mr Jarvis was bailed to appear at Cambridge Crown Court on March 24, with bail conditions including not to have any unsupervised contact with anyone under 18. 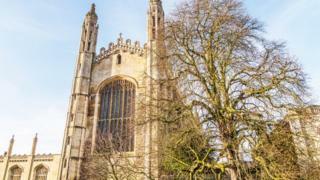 A Cambridge University spokeswoman said he has been suspended pending an internal investigation. "It would not be appropriate to comment further while legal proceedings are active," she added.